Recommended for when bathing a baby. 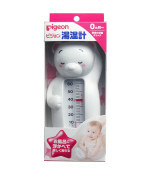 Float this fun hot water thermometer in the bath when bathing your baby. With a handy suitable temperature display. The cute polar bear design will also delight your baby. This item is for measuring the temperature of bath water. Do not use for any other purpose. 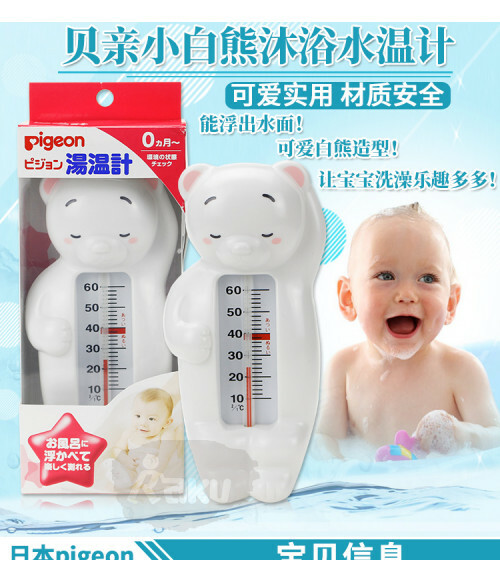 Be sure to check the water temperature with your hand before putting your baby into the bath. 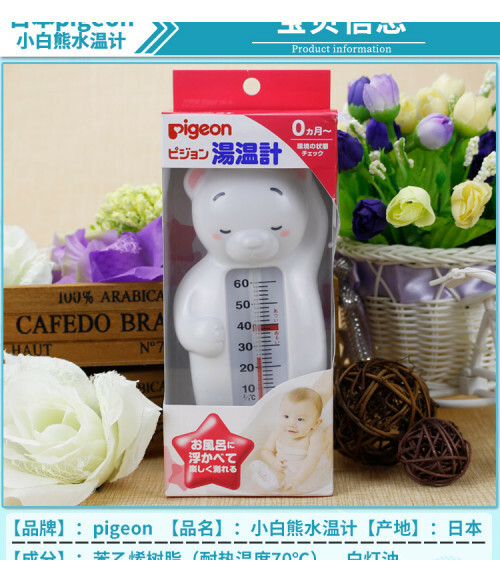 Do not use if is damaged or if the red temperature-sensitive liquid has separated. 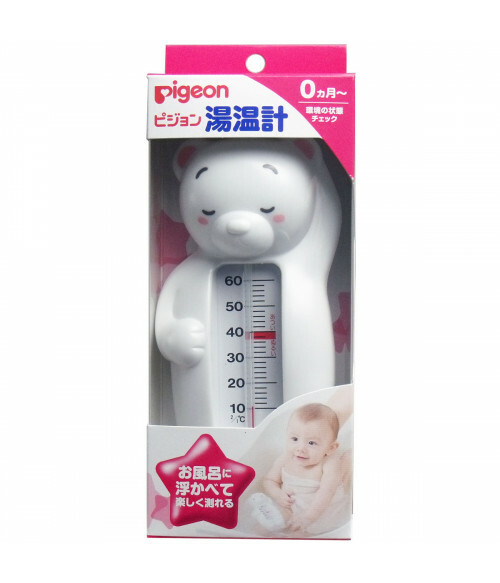 Never leave in place with a temperature of less than -10°C or in water that is over 60°C. This has a glass tube so do not allow children to touch.